It’s boom time for companies that brought out consoles decades ago, thanks to the popularity of repackaged, miniaturized versions of their machines. First it was Nintendo with the NES and then the SNES Classic Editions, and recently we learned that Sega would be joining the party with the Genesis. 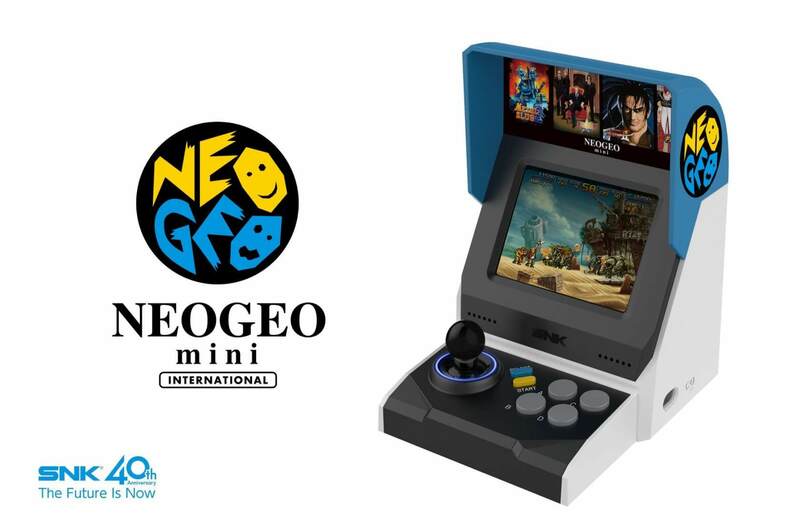 Now, SNK has revealed it will be adding to the growing list of tiny retro consoles with the NEOGEO mini. The device is being launched to celebrate the 40th anniversary of the SNK brand. The six-inch tall, five-inch-wide design resembles the Neo Geo MVS (Multi Video System) arcade system, which preceded the AES, or Advanced Entertainment System, home console version. There are 40 games preloaded into the NEOGEO Mini. Based on the promo images, they including Metal Slug, Samurai Showdown, and King of Fighters. As you can see, the console comes with a 3.5-inch screen so you can use it without an external display, but it can still be connected to a TV or monitor via an HDMI cable. SNK adds that the NEOGEO mini features a headphone jack and comes with connectors for two extra controllers, which are rumored to be in the style of the Neo Geo CD pads. It also ships with a power supply cable (AC adapter not included). Two different models will be available: a white, red, and blue version for the Asian market, and a blue, black, and white variant for everywhere else. No word yet on price or availability, but expect to hear more details soon.